There’s a certain magic in some foods. Taking ordinary ingredients and transforming them into something delicious is a small miracle, really. This is true of many foods, but it is especially true of ice cream. Cream, milk and sugar mixed with a little time on ice seems so humble, but if you’re like me you’ll agree that the whole is greater than the sum of its parts. Bonnie Brae Ice Cream in Denver has spent years perfecting this magic, making ice cream on site every day. This is the perfect time of year for frozen treats. 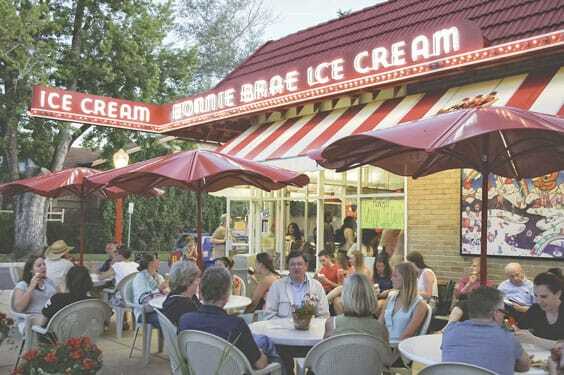 Bonnie Brae is a little off the beaten path for many of us here in Castle Pines, but if you’re looking for the kind of ice cream that takes you back to childhood memories of warm summer nights gathered around the ice cream maker, it’s well worth the trip to Denver. Bonnie Brae has been a Denver institution for nearly 30 years, with an emphasis on fresh, pure ingredients. With options ranging from simple cones to fancy sundaes, a trip to Bonnie Brae Ice Cream in Denver is the ultimate ice cream experience. Bonnie Brae was born when the Simons and the Pailets were looking for a business venture they could embark on together. Formerly a location of the Dolly Madison ice cream chain, when the space became available in the 1980s, the ice cream shop on the corner of University Avenue and Ohio Avenue seemed like the perfect place to build a neighborhood business. Nearly three decades later, a summer night will find families and friends – often with kids or dogs in tow – enjoying a cone, a sundae or a shake. Most of the offerings at Bonnie Brae are kosher certified. Two flavors of frozen yogurt are always available, as are two flavors of vegan soft serve, and Fido can enjoy an ice cream sandwich made just for canine patrons – vanilla ice cream between two doggie biscuits. There are roughly 120 flavors in Bonnie Brae’s repertoire, 32 of which are available on any given day. Don’t be daunted by the line out the door on a warm summer evening – after years of summer busy seasons, the staff is well-trained and plentiful, ready to quickly get you your treat or offer suggestions about what might satisfy your sweet tooth. On a recent visit, I enjoyed a shake, while my kids devoured cones. I could taste the freshness of the fruit in my treat, while the cookies and candy my kids chose were the perfect compliment to the ice cream they were mixed with. Everything was deliciously simple and simply delicious. 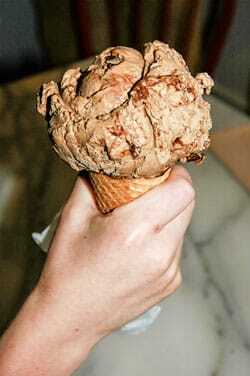 And just like the perfection of a summer sunset, a scoop of ice cream is the perfect way to end the day. Bonnie Brae Ice Cream is located at 799 South University Boulevard in Denver. It is open Sunday through Thursday from 11 a.m. until 10:30 p.m. and Friday and Saturday from 11 a.m. until 11 p.m. In addition to cones, shakes, sundaes and other ice cream shop favorites, ice cream cakes and pies are available for order. 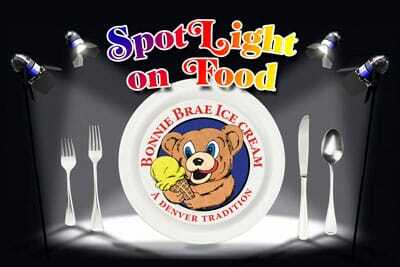 For details about Bonnie Brae Ice Cream, visit www.bonniebraeicecream.com. Bonnie Brae Ice Cream in Denver has been a favorite stop for ice cream, shakes and other frozen treats for nearly 30 years. Toppings are a nice compliment to the 120 flavors in the Bonnie Brae repertoire. Hot summer nights are the perfect time for Bonnie Brae’s cool, refreshing treats, and a great excuse to sit on the pleasant patio for some people watching.